So you're ready to build a wildly profitable Facebook ads funnel for your ecommerce business? Well, buckle in! Because we're going to show you exactly how! But don't worry, even if you've never built a funnel before, we're going to show you exactly what, why and how to build a highly effective facebook ads funnel (that you can do for an ecommerce business or any other industry). What is a Facebook ads funnel? Our experience with Facebook ads funnels? Advanced retargeting funnels vs basic retargeting ads? So let's make sure we're all on the same page here and answer the common question of "whats a Facebook ad funnel", right away. A Facebook ad funnel is a series of ads that drive people to relevant web-pages and convert prospects into customers with messages that are specific to their stage in the buyer's journey. Facebook has over 2 billion active people using it each and every day. But as you can imagine, you should be serving different ads to people based on their experience and relationship with your brand. Basic "treat everyone the same" marketing doesn't work neaerly as well as it used to. And that's where Facebook ad funnels come in! We have an interesting experience with ecommerce facebook ad funnels, that's worth prefacing this article with! 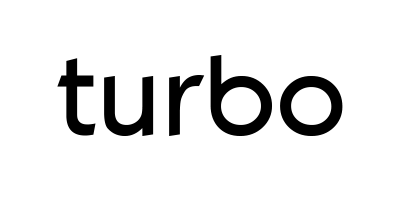 We're the team behind the leading ecommerce Facebook funnel software on the market. So we obsess about funnels and help hundreds of Shopify and ecommerce brands succeed with these every single day. Before this, we ran a Facebook advertising agency specifically for ecommerce companies where we managed millions of dollars in ad spend. So, if you like data-rich tutorials and strategies on Facebook ads and ecommerce, subscribe to our blog (and keep reading)! Let's skim the surface with a super basic example of a Facebook ad funnel. If you are focused on generating the highest ROI possible, this is not recommended. However, it'll serve as a good example of this topic and brief you into how people build sales funnels on Facebook. The most fundamental facebook ad funnels have two parts, or stages. The first stage, is a prospecting ad, targeting people interested in "yoga", focused on generating first-time web visitors and hopefully generated some sales along the way. This part of the funnel is usually not very profitable however it is required for the second portion of the funnel (assuming you have no website traffic). The second stage, is a retargeting ad, targeting website visitors in the last 30 days, focused on recapturing lost customers and generated sales. This ad is much more profitable because you are targeting website visitors, who already know about your brand and have been on your site recently. This is a brief example of a Facebook ad funnel. This is a good start or beginners, however, you are leaving money on the table by not going further in depth. Let's explore the bigger opportunities in the next section. As we hinted at in the previous section, retargeting is you will achieve the highest ROI. Which is why it's worth investing more time and effort in to. And that's why the sharpest marketers are building advanced Facebook retargeting funnels. Because once you work hard to get people to your website, you'd be crazy not to convert them. So when, and why, exactly should you build advanced retargeting funnels? Here are a few use cases & examples of when advanced retargeting funnels are useful. When you want to maximize ROI and sales of your ads. When you are selling a high-ticket product. When you are a new brand and need to establish a lot of trust with customers. When your customers are indecisive or have many other options (that are your competitors). When you want to have a lot of value or information to share about your product. When you want to build better relationships with your customers. Sound relevant? It should for most small businesses! Let's dive into a few examples. Note: You can see the images include the ideal audience, and an ad title, which is designed to summarize the ad itself. Someone who visited your site yesterday... Or someone who visited 365 days ago? Spoiler alert: the website visitor from yesterday would be WAY easier! Because you're more relevant to them. They were just looking at your site yesterday and will remember this very, very clearly! The ROI maximizer takes advantage of this concept by offering basic offers in the ads and promoting more incentivizing offers as time goes on (only reducing your profits for the audiences that actually need the would otherwise not come back). Make sense? Because you don't want to give promo codes (and slash your margins) to everyone. Only the audiences that it makes sense to do so for! i) Free shipping: In this first stage, this ad targeting visitors from the last 5 days, which is usually an easy audience to target so we only promote free shipping to maximize profits (by not giving away any discount to this easy-to-convert audience). ii) 10% off offer: In the second stage, we promote a small 10% discount to bring back people who did not purchase yet from the free shipping offer. iii) 40% off everything offer: In the final stage, we promote a heavy discount as a last ditch effort to the people who have not yet converted. 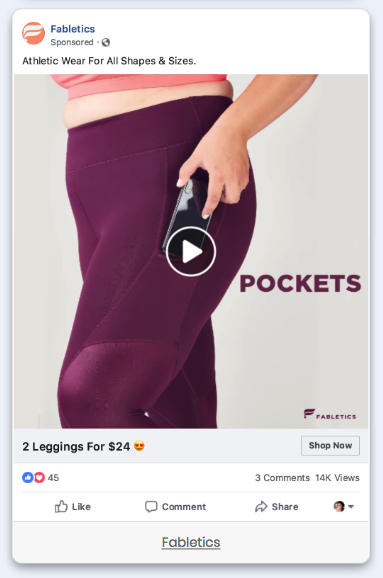 This funnel starts with a founding story, shows off social proof with an influencer post, and then drives sales with a "new product in stock" ad! i) Our founding story: In the first stage, we have a short video or blog article sharing how/why we started the company, our mission, etc. to establish a relationship and remind our audience that we're real people! As Simon Sinek says, people don't buy what you do, they buy why you do it! ii) Influencer Ad: In the second stage, we show off a relevant influencer using/reviewing our product to establish trust! iii) New product sale: To wrap things up, we present our audience with a new product promo to drive conversions! This funnel, perfect for a subscription box company, has three touch points that establish trust through a blog article, shows a recent version of the product, and then drives conversions through a flash sale! 3 step funnel: Blog article > What came in last months box > Flash sale! i) Blog article: In this first stage, we warm up the relationship with a useful blog article (7 fitness hacks) that lightly promotes our product or service and provides value to readers. ii) What came in last months: In the second stage, we show a review video or web page that highlights what came in the 'last months box' or a recent version of the subscription box. iii) Flash sale: In the final stage, we wrap up the funnel with a limited time sale! Most people will bite on this offer if they haven't naturally purchased from the previous stages. These are 3 great funnel templates that you can customize or mix and match for your own business! Pro tip: You always want to create content that builds a good brand impression and relationship with a customer, however, a clear call-to-action should always be visible to the customer. So for example, keep your shop link and promo details in your blog articles, etc. So you may be wondering, what happens if I don't build an advanced retargeting funnel and I just use basic retargeting ads? Well, you won't make as many sales. And your ROI (Return on Investment) will be lower. Not only that, but basic retargeting ads lack a lot of information you need to scale your Facebook ads. Like which audience works best, which audiences need to be better incentives (in order to convert), and much more. So if you aren't interested in more sales and higher ROI, basic retargeting ads will be ok. 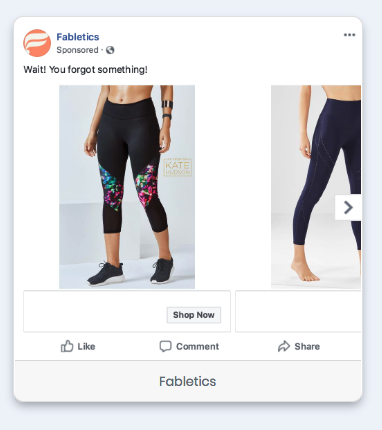 If you're looking for some software to help you simply create Facebook ad funnels, I'd encourage you to check out Turbo Retargeting. It's the app that powers thousands of Facebook funnels for ecommerce companies. They have a free trial and hundreds of campaign templates that are battle tested for ecommerce companies in all niches! We'll outline a few of them in the next section. 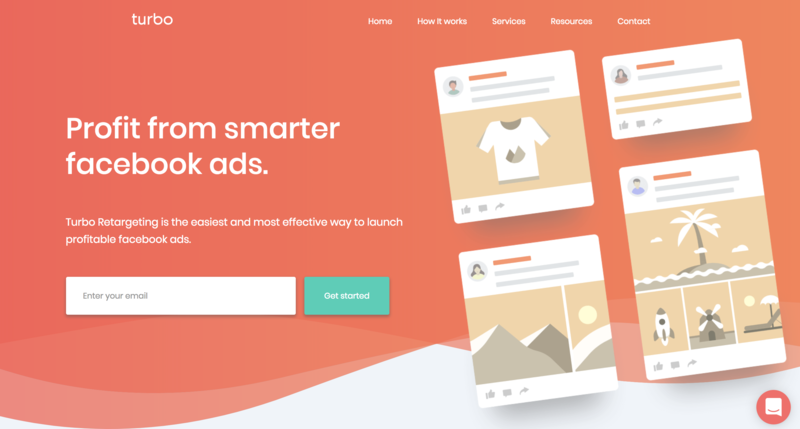 When you start using the Turbo Retargeting app, you can go to the "Templates" page for all of the campaigns and funnel templates. Their "featured" section highlights the top campaigns, so consider trying those! The nice thing about these templates, is they plug in all of the recommended settings, ad details, etc. All you need to do is fill in the blanks and click Launch! Their Facebook integration will create the campaign, adsets, ads, audiences and do all of the optimization stuff for you! Building a Facebook ad funnel is an absolute must for ecommerce companies looking to leverage Facebook ads to their highest potential. The level of sophistication you use in your funnels will depend on your experience, tools and desired outcome. But nevertheless, every company needs to continue testing until they identify how to build a facebook funnel that converts! Feel free to leave your comments or questions in the comment box below and happy funnel building!